Young and working class Britons feel disenfranchised and less inclined to vote than the affluent and should therefore be legally forced to do so as part of a democratic reboot, a think tank claims. 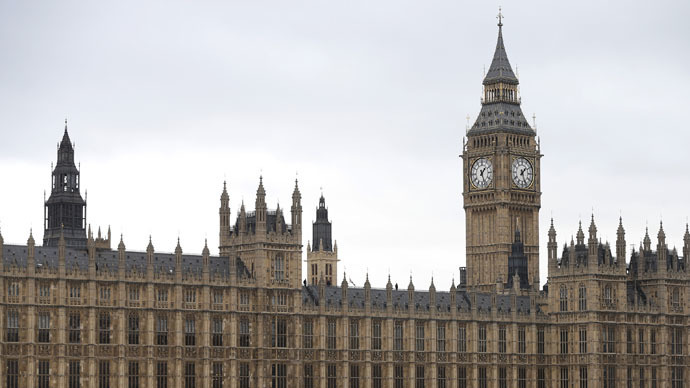 The new study, ‘Political inequality: Why British democracy must be reformed and revitalized,’ was carried out by the Institute for Public Policy Research (IPPR). Its findings suggest the decline in voting by the less well-off and young is damaging democracy, with politicians playing only to those already inclined to get involved. The IPPR report goes on to argue there should be a legal obligation for people to vote in the first election after they reach 18 years of age. It found that in 2010 less than half of 18 to 24 year olds voted. The report’s overview is withering. “Inequalities of class and demography in political participation are particularly problematic, undermining the legitimacy and effectiveness of democracy. According to the IPPR, voting decline is not spread evenly across all sections of society, but is most pronounced among the most disadvantaged. “The long-run decline in electoral turnout in the UK is therefore being driven by the relative collapse in electoral participation among the young and the less well-off, not by a uniform decline in turnout among all demographic groups. The research points to a perfect storm of conditions which have led to a strong sense of disenfranchisement among large sections of the public. Major factors include the state of the nation’s media, tied to the idea that corporate interests are set above those of normal people. Referring to Rupert Murdoch’s News Corp among others, the report says: “If only certain voices are heard or interests advanced, then this is likely to lead to some groups having far more influence in setting the political agenda than others. “More recently, the resignation of Peter Oborne from the Telegraph over his lack of confidence in its coverage of HSBC has shone the light on concerns that corporations influence the content of major newspapers, suggesting powerful private companies can have a disproportionate sway over public discourse,” it adds. It also blamed a perceived lack of diversity. While it was common across all sections of society to have negative views of the current system, the study highlighted: “Striking differentials between classes suggest a widespread sense that some people or classes have more influence than others and that democracy serves some interests far better than others. The study also argued that it is too late to arrest the worrying trend before the general election in May and that as it stands the outcome may simply serve to entrench negative feelings about the UK democratic system.